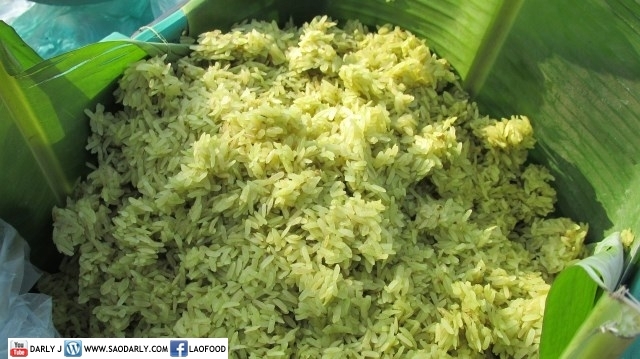 Khao Mao (Young Sticky Rice) available from one of the food stalls at Boun That Luang Festival. 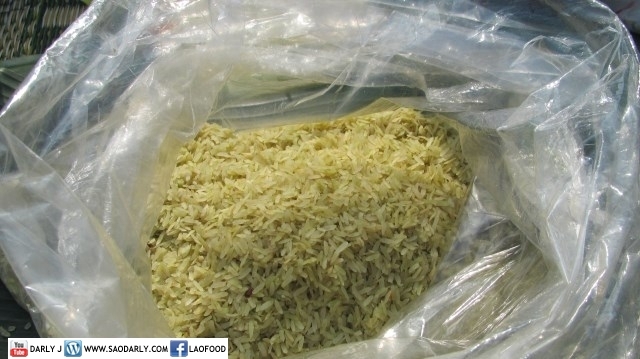 There were several food vendors selling the young sticky rice in raw and cooked version. 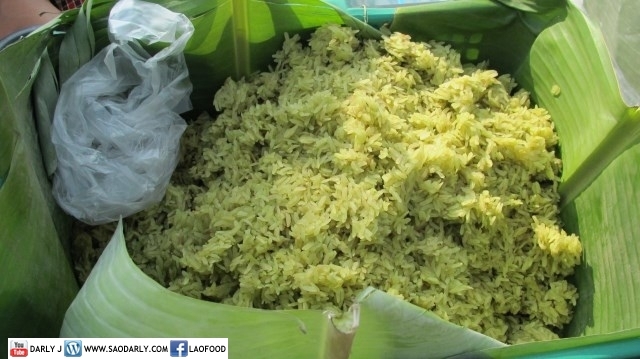 I like the smell of steamed young sticky rice (Khao Mao ເຂົ້າເຫມົ້າ) with grated young coconut and palm sugar on top.